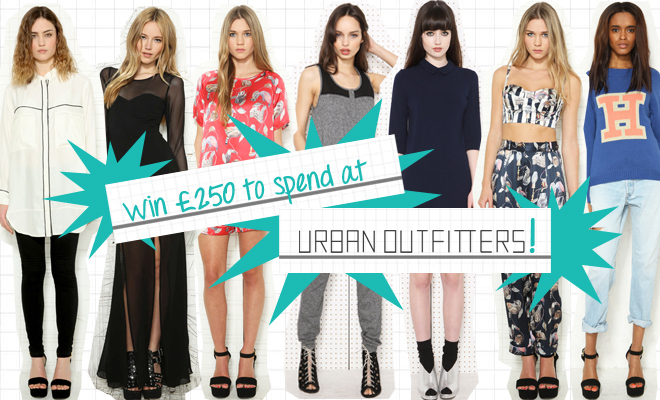 I love Urban Outfitters but it’s too expensive for me to treat myself often from there so I REALLY want these vouchers. & as I’m on a spending ban, this wouldn’t count as spending…right? You can enter too if you like, click here. This competition is run through etail bloggers network, which as you can see from my ‘etailPR Approved Banner’ on my blog, I’m now part of the network! Normally all you have to do to be entered into their weekly competitions is upload your ‘etailPR Approved Banner’ once you’ve signed up to our blogger network however this week you have to create a blog post. You can be part of the etail network by registering here. Once you have signed up you can then enter this competition too. Once you have signed up you will be notified by email if your application has been approved with details on how to log in. Be quick because this competition ends tomorrow (if you can’t enter this competition, don’t worry there are loads more!) The winner will be chosen Friday – EXCITED!